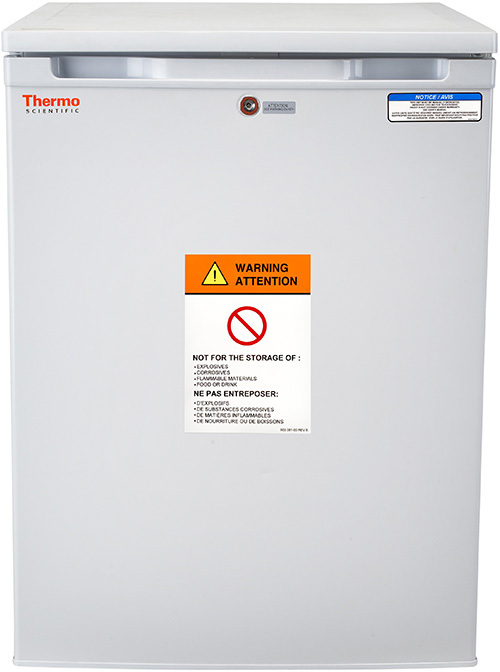 Thermo Scientific laboratory combo refrigerators and freezers are particularly suited for routine laboratory applications with sizes ranging from small benchtop to full-height freestanding. Our features are not available in domestic models and meet the demanding requirements of the laboratory environment. Alert: These units are not intended for critical lab samples. Storage of high value, life science materials or clinical biologicals may require alarm, monitoring, back-up and temperature performance features. The need to add these features should be determined by your industrial hygenist or safety officer. These units are not suitable for corrosive environments.